Fancy getting your hands on free festival tickets, cases of mixed beer, free brewery tours, tasting paddles galore and invites to exclusive events? Then you need to check out the latest update for Crafty supporters. With winter upon us, it's time for another update from The Crafty Cabal, our beer lovers bonus scheme. We've got a new competition featuring heaps of Clare Valley Brewing Company beers plus new events and offers across the country. If things like free beer, exclusive events, competitions and free festival tickets get you excited, you should become a Crafty Pint supporter by joining The Crafty Cabal. Here's a short video explaining how it works. It's a seriously bumper update for Crafty Pint supporters this week with heaps of new ballots and giveaways plus some new offers and a stack of signup bonuses for new members too. We've got some juicy updates this week for both existing Crafty Pint supporters and readers thinking of joining The Crafty Cabal and taking advantage of all the benefits that come your way in return. 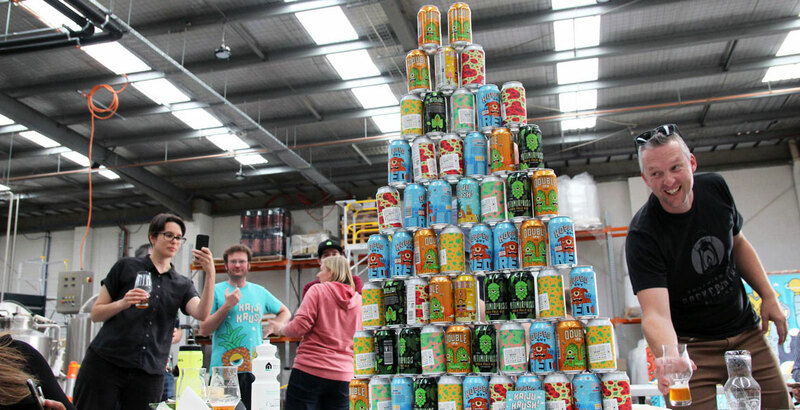 Following the cracking event at Pirate Life's brewery, what's new for Crafty Pint supporters? Well, plenty, with a new competition, new deals, an imminent bar shout and more festival bonuses in the offing too.